I prefer not to use chemical-laden spray cleaners to remove soap scum. After I spray these products, I “taste” or “smell” the chemicals for days. Breathing in harsh cleansers is hard on your lungs. 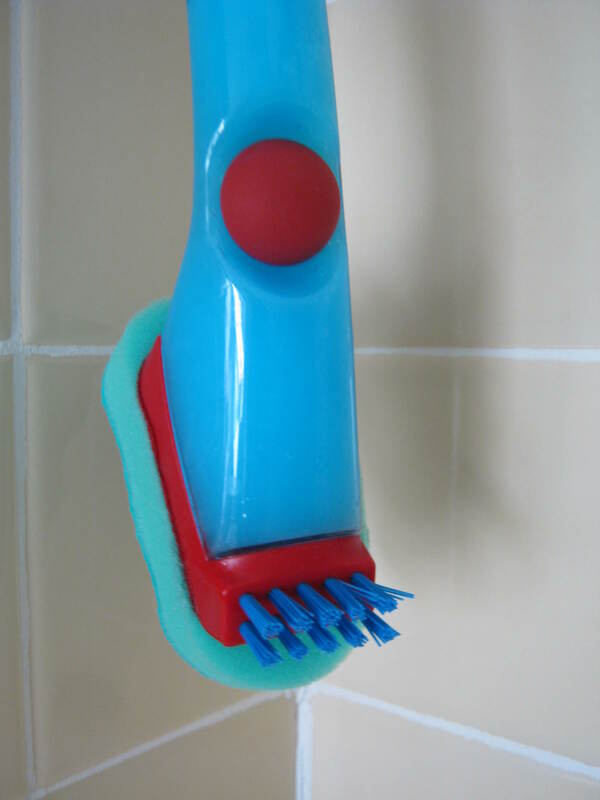 I’ve found a good tip for cleaning shower scum. 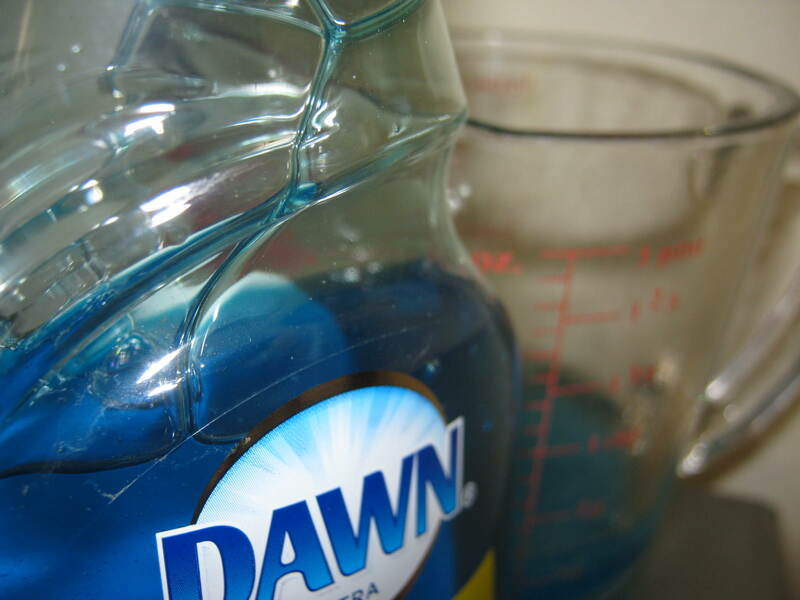 Mix together equal parts Dawn Dishwashing Liquid and hot white vinegar. 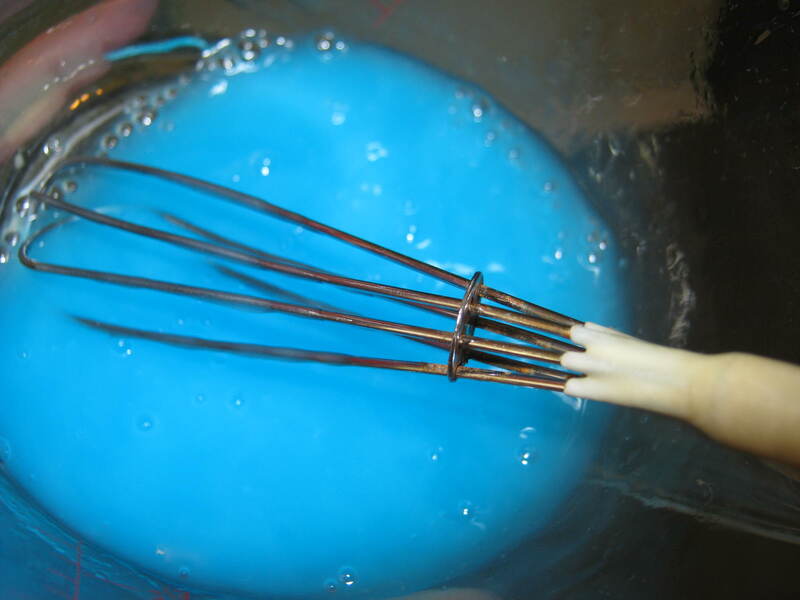 Whisk the two ingredients together, very gently so you don’t create suds, and place in a dish scrubber. To use, take a hot shower and before you turn off the water, quickly wipe down the walls. Let the shower run a bit longer to rinse the solution off the walls. I experimented with this technique and the whole process only took a minute or two and was SO easy. Give it a try! I’ve blogged this technique in the past and used a spray bottle to apply the solution. The dish scrubber makes the whole technique so much easier and convenient. I also think the steamy, hot shower stall facilitates the removal of the soap scum.